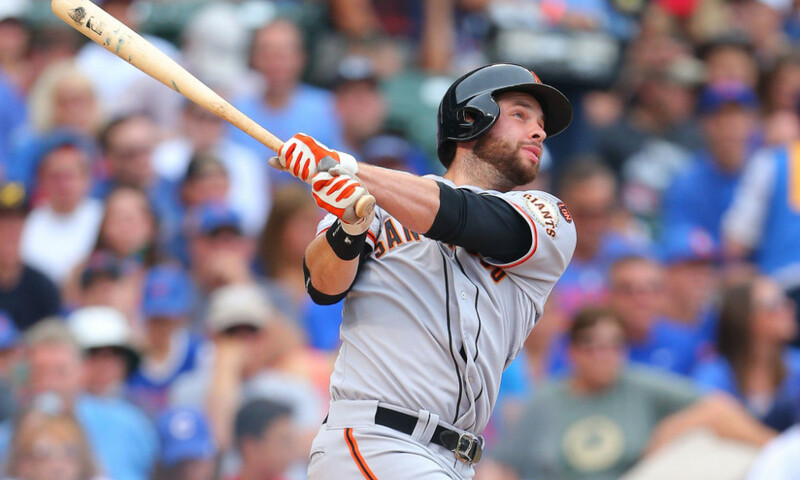 San Francisco Giants and former Texas Longhorns first baseman Brandon Belt named his son after former Longhorn coach Augie Garrido (Photo credit: Dennis Wierzbicki-USA TODAY Sports). When naming a child, parents commonly choose a name which honors a person who has served a significant role in their lives. Former Longhorn Brandon Belt did just that when he chose to name his son in honor of legendary Texas baseball coach Augie Garrido. Belt and his wife Haylee welcomed August Kyle Belt into the world last July. Asked about what it’s like to say the name Augie around the house, Belt said it’s a great memory. At last week’s RBI Austin banquet Belt said it still felt weird not to have coach Garrido around. Belt said that Garrido was determined to get the best out of you regardless of whether you were a player, a student, or just someone off the street, and that’s why he chose to honor him with the naming of his son. Currently a first baseman for the San Francisco Giants, the 2019 season will mark Belt’s ninth year in Major League Baseball. Coach Garrido passed away in March of last year, but the legacy of the man who led the Longhorns to two national championships and eight college world series appearances still looms large around the baseball program. Following Texas’ win over Indiana in the Regional Championship last June head coach David Pierce said that he felt coach Garrido’s presence during the game. The University of Texas will honor the life and legacy of coach Garrido with the unveiling of a bust of him in front of the stadium this Saturday prior to the start of the alumni game. The ceremony will take place at 11:30 a.m. on Saturday February 2nd on the plaza in front of the UFCU Disch-Falk Field home plate gate. The bust will sit alongside former head coaching greats Bibb Falk, Billy Disch, and Cliff Gustafson.